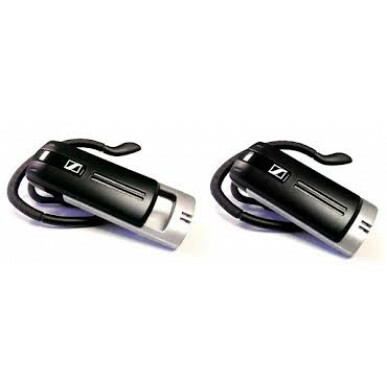 This version of the Sennheiser Presence UC is for use with Microsoft Office Lync or Communicator software. It is not related to the operating system of your computer. 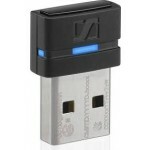 If you do not have this software please go to the standard version. With 3 digital microphones the Presence really hears you. This combination of these mics plus the patented SpeakFocus and WindSafe mean you know that your caller will hear you wether you're in a busy office, out on a blustery day or walking through noisy traffic. 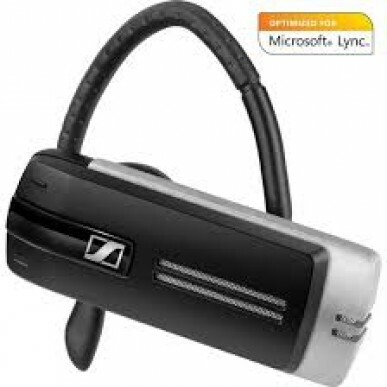 Most top end Bluetooth headsets need longer microphone booms to get the same results that Sennheiser produces with just clever technology. This means you get a small and discreet headset that you can wear with or without the earhook but still with the best possible HD quality sound. 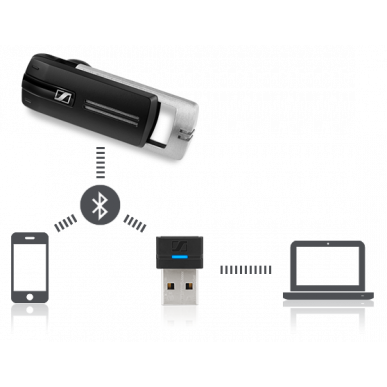 The Presence can connect to 2 Bluetooth devices at once. It remembers up to 8 devices but can only be paired to 2 at the same time. You can switch between Softphone or Skype calls and mobile calls easily and even merge to 2 for a conference call. If you're on the phone all day, don't worry, the Presence has up to 10 hours talk time and can be left for up to 14 days before it needs to be recharged. The range is also better than most - up to 25m depending on your device. 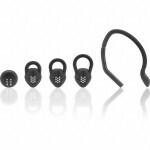 Weighing in at just 13g it's considerably lighter than it's Plantronics and Jabra counterparts. As you'd expect from this world leader, Sennheiser have ensured the headset is easy to install and use with all the biggest Softphone brands; Polycom, Alcatel, Cisco, Aastra, IBM & Avaya. 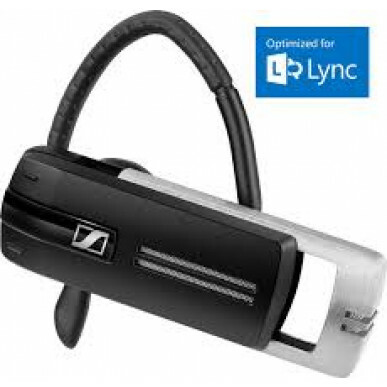 As this is a Lync optimised headset , Lync recognises the headset as soon as the dongle is plugged in and all call-control features can be accessed i.e. answering and ending calls, adjusting volume or muting the call. The Presence doesn't have voice controls however you can use Siri or other voice recognition within your smart phone to make it a virtually hands free phone. 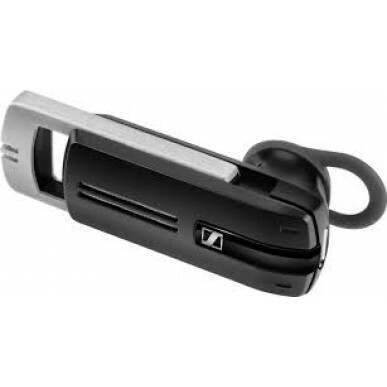 Overall this just what you expect from Sennheiser - outstanding sound quality, beautiful design, no gimmicks just super-high performance. 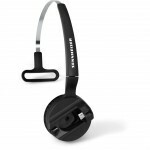 As you know if you've ever tried their headphones, or DW series of headsets; Sennheiser are quite simply in their own league. PRESENCE™ UC is a premium headset for mobile Unified Communications professionals requiring consistently excellent HD sound and HD voice clarity around the office, in the car and outdoors. Building on Sennheiser’s 70 year legacy of sound leadership, new developments include SpeakFocus™ and WindSafe™ technologies to optimize communication in noisy environments – both indoors and outdoors. With best-in-class Sennheiser HD voice clarity using unique 3 digital microphone system, PRESENCE™ UC optimizes speech intelligibility in challenging environments. The headset also provides high-quality audio for podcasts. Peace of mind, ActiveGard® provides protection from acoustic shock. With a focus on quality materials and wearability, PRESENCE™ UC’s slim iconic design and subtle aluminum microphone boom arm represent the ultimate in discretion for business professionals. The headset is certified with leading Unified Communications platforms and offers a trouble-free, plug and play experience. PRESENCE™ UC enables multi-connectivity and switches seamlessly between softphone and mobile calls from a single headset. 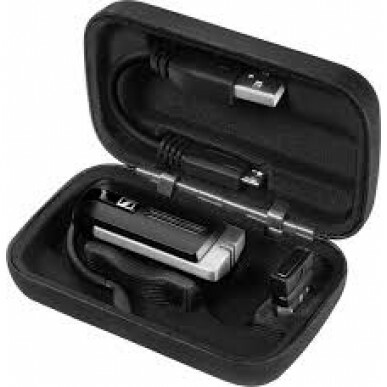 Features include a unique sliding microphone with integrated on/off power slide and up to 10 hours’ narrowband and 8 hours’ wideband call time between charges. 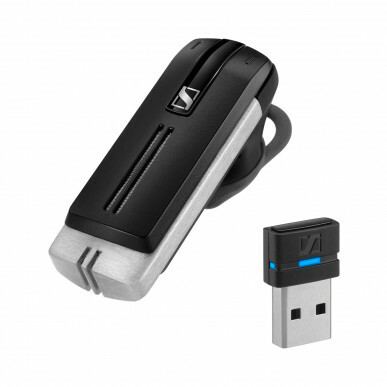 With the latest Bluetooth® version 4.0 wireless technology and handsfree profile 1.6.